Around Easter, A. and I took a long weekend in Wilson’s Prom. The Prom, as it’s known here, is one of Victoria’s little secrets. 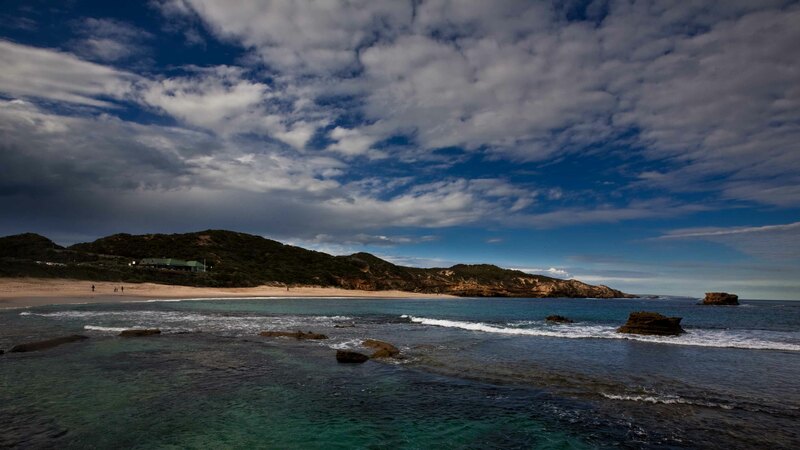 Well known in Melbourne as a getaway and a gorgeous spot for camping, quiet beaches and rugged hikes, it’s little heard-of outside of Australia- and I’m okay with that. We were blessed with beautiful weather- neither too hot nor too cold, and (a rarity in Victoria) no rain to speak of. Patches of cloud made photography a little more interesting, and we spent several days exploring beaches, cliffs and walking trails up and down the coastline. We also got to know the local wildlife a little better- here, A. made friends with a Crimson Rosella, but the campground at Tidal River is also known for its population of semi-tame wombats, and there are roos and wallabies up and down the length of the trail. Not to mention Tiger Snakes. Oddly enough I didn’t pause to take a photo of the one I nearly stepped on, as I was busy scooting back down the track in a hurry, looking for a large stick. Wilson’s Prom has been struck with a series of natural disasters over the last few years, including devastating bushfires that damaged much of the park and made many tracks unsafe to walk on. Flashfloods more recently have equally left much of the park’s infrastructure in disarray, and when we were there, many walks were still closed to the public and under repair. It was somewhat disappointing, and we were unable to walk some of the trails we’d been hoping to, but we still found some gorgeous scenery and some great hikes, so we can’t complain. Really, it just gives us something else to go back for. Not that we need the excuse. I have to confess, we were a little cheeky. Some opportunities were too good to miss, and we ended up scrambling up a couple of closed tracks to find ourselves on secluded beaches and little coves that we had entirely to ourselves. The Prom isn’t exactly crawling with people outside of peak season, but it’s still a popular destination. However, being the only people in some of these spectacular spots was really quite special, and we relished it. The coastline at the Prom is rugged- rocky and wild, with coves and beaches interspersed by tall cliffheads and rocky outcrops. 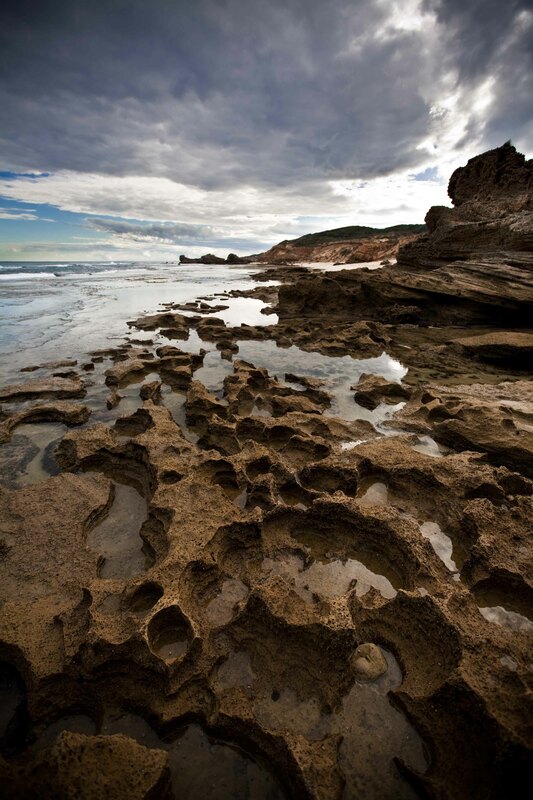 It’s a dramatic landscape, and one of the most beautiful along Victoria’s southern ocean shore. The Prom juts out into the Bass Straits, a long and jagged peninsula that is one of the most exposed parts of the state. Once upon a time, a land-bridge joined Tasmania to the rest of Australia, and the Prom is its last vestige. When you look at some of the rocks around the Prom and compare them to, say, the rocks of northern Tasmania, you can see the similarities. Our favourite walk was the one that led from Darby Saddle to Tongue Point. It’s listed as a moderate hike, which is a fair assessment- lots of ups and downs. Starting well inland at the high point of Darby Saddle (always ominous, because it means you need to end the walk with a climb back to the car), it took us a good chunk of the day to complete- five or six hours, when we factored in the exploring. The views along the way were magnificent, however, and it was well worth the effort. Towards the end of the walk, the path splits and there’s a little scramble down to Fairy Cove. We were pretty much the only people on the track that day, so we had the spot to ourselves, and it was magnificent- a glorious and footprint-free beach where we could scramble onto the rocks and watch the breakers dash themselves against the headlands, and even a little tidal pool we were able to take a little swim in- still freezing cold, but not as hostile as the ocean itself. One of the loveliest things about the Prom is the constant drama. With the winds coming off the straits, the clouds are ever moving and shifting the light on the scenery. The sea is restless, and you can sit for hours just watching the waves pound the base of cliffs or swash up around fallen rocks in great foamy charges. Three things I’m keen to capture on my next trip to the Prom. First off, the night skies are magical out there, so taking a tripod to do some starlight photography is a must. Second, a spot of time-lapse to catch the movement of waves and clouds would be magical. And third, I am busting to get myself a nice telephoto lens and do some nice wave photography. The above shot is about the best of the bunch I was able to get, but I’m only shooting on an 85mm, which doesn’t really have the reach necessary to get those lovely creamy breakers at their best. Seriously, it’s a spectacular spot, and I can’t recommend Wilson’s Prom enough. If you’re coming through Victoria as a tourist, or if you’re just a local Melbournian with a weekend to spare, make sure you get down there. The year isn’t over yet. Not by a long shot. But by the dearth of fresh photos going up on this blog you could be forgiven for thinking I’ve hung up my lenses and called it a day. In fact, by the dearth of fresh anything going up on this blog you could be forgiven for thinking I’ve hung up my keyboard, too. Happily, neither one is the case. At any rate, as a taster here are a few of my favourite pictures from the last ten months or so, from a few different spots round the globe. Some of these locations I might flesh out a little more as time goes on, but for now, I hope you like this little collection of images. 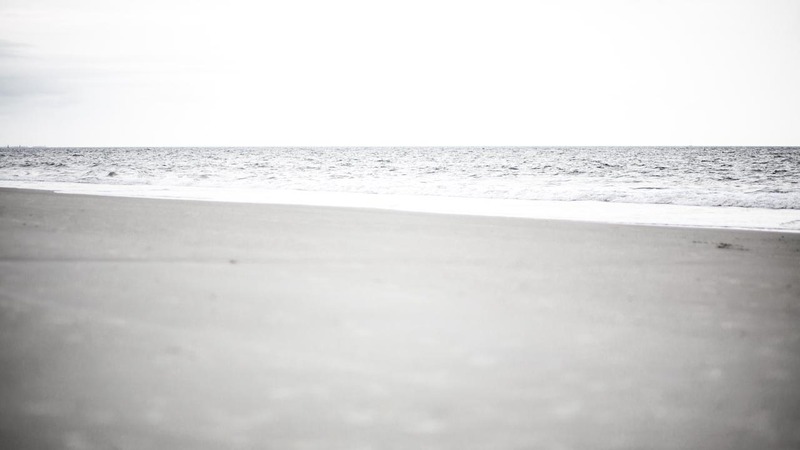 Top: A muggy and overcast day on Tybee Beach, Savannah, GA. Overexposed in-camera and processed for low colour and emphasizing highlights focuses on the texture and an almost dreamlike view of the ocean. Shot using shallow depth of field means the foreground is soft while the waves beyond are in sharper relief. 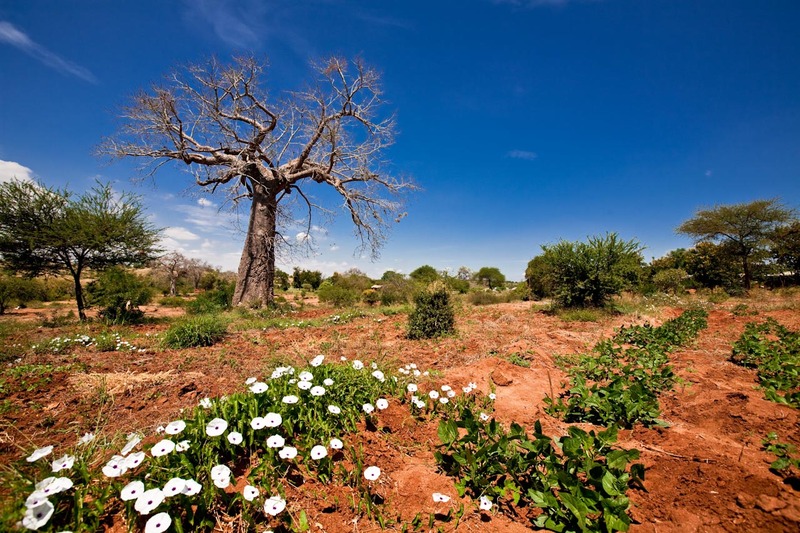 Above: A baobab tree rises from rusty soils and a flowering ground creeper in fields outside a village in rural South-East Kenya. I was struck by the lovely contrast between the spray of white flowers (actually weeds), the red ground and the blue sky- all nicely lit on a fresh morning. Baobabs make for a fantastic photographic subject- stark, dramatic and instantly recognizable. 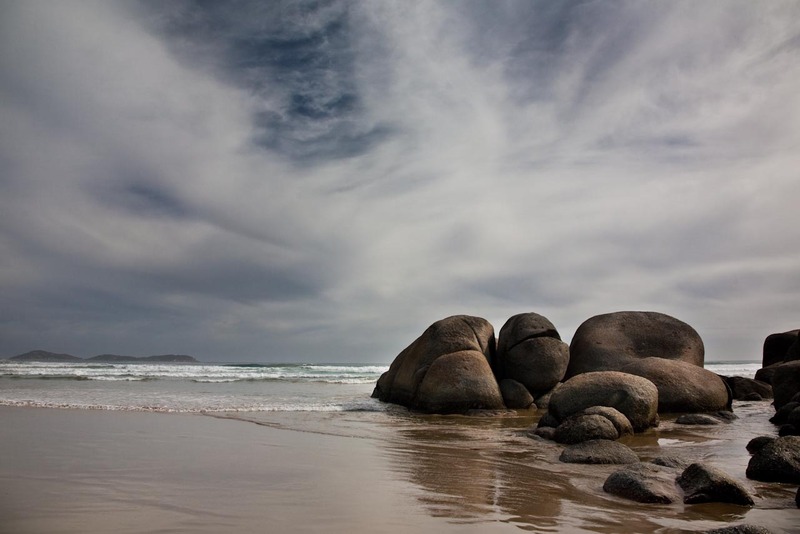 Above: Rounded rocks on a beach at Wilson’s Prom, on the southern coast of Australia, give testament to millenia of weathering at the hands of the relentless ocean. Shot in overcast light and exposing to darken the sky with some differential exposure in post-processing has kept the rocks in low contrast, emphasising their smooth shape and texture, and emphasising form over colour in the muted palette. Wilson’s Prom remains one of the prettiest corners of Victoria in my playbook. 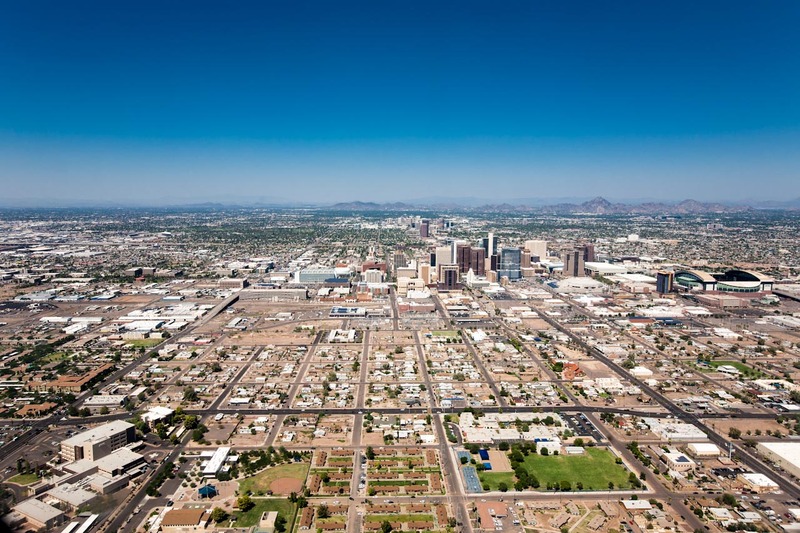 Above: Downtown Phoenix, seen from the air coming in to land, with the high-rise central business district just off-centre and Chase Field, home of the Diamondbacks, off to the right. The way the grid of small streets and roads lead in converging lines take the eye through downtown and on to the hills in the background, and the effect makes this one of the only shots I’ve taken from a plane window that I actually like. Above: Trentham Falls, outside Daylesford, Victoria, Australia, as viewed from behind the falls themselves. Hand-held at slightly long exposure has given the falling water a slightly silky texture. Among the challenges of taking this image were the issue of shooting from a darkened vantage against a lighter sky and trying not to allow much of the image to burn out. Additionally, several plebs managed to find themselves in the frame, so I removed their pesky presence in post-processing to give the image a more serene look. I actually had to wait up here for a good six or seven minutes for a couple of kids to step out of the frame at bottom, where they had been chucking big rocks into the water. Overall I like the quiet scene and the relatively soft palette of greens and earthy tones. Above: Highway bridge, Savannah, GA. You don’t generally get many good shots through a car windshield, but this spur-of-the-moment snap-shot (I use the term to refer to how quickly it had to be lined up and taken, not the camera it was taken on) works for me. Again the lines of the bridge struts give a great sense of motion, leading the eye into a contrasty late-afternoon sky, and a broad horizon giving the feeling of wide open spaces. It’s a shot that captures movement and an enjoyable juxtaposition of dramatic engineering and natural beauty. Above: The sun sets directly over an intersection on a steamy panhandle night near Altha, FL. The warm tones and striking position of the sun are nicely led to by the wires of the phone lines, and I like the faint splash of reflection coming off the road. I went down to Sorrento Back Beach with some friends this past weekend. The weather wasn’t entirely cooperative. The clouds were lovely but kept obscuring the sun, which meant that the foreground never really took off. Photographing landscapes is a balancing act. The landscaper’s dilemma is that by exposing for the ground (which is naturally darker), you blow out the sky. By contrast if you expose for the sky to capture colour and contrast in the clouds, you tend to overdarken the foreground and lose detail and light. A perfect scenario is a sun above or behind the photographer lighting the foreground so that you can lower the overall exposure value of the shot, allowing you to darken the sky at the same time and capture the depth of the skyscape. But that depends on factors beyond your control. Namely, the climate. So I had to cheat a little on this shot and used a graduated neutral density (GND) filter in post-processing. When I say ‘cheating’ I should really say ‘lazy’. When it comes to post processing I try and keep things fairly realistic and limited. I don’t use HDR or any of its cousins. The GND allows me to put a horizontal line across the image and apply slightly different exposure values above and below the image. I’m okay with doing this because you can in fact get GND filters that fit onto the camera itself, like a polarizer or a UV filter, and I generally consider anything I can do ‘in-camera’ as legit in post (but admit that it’s a tad lazy). However the cost of getting a Cokin or similar filter set to fit the ginormous filter-ring (82mm) of my yawning 16-35mm wide-angle, not to mention the fiddle quotient, really makes a few careful clicks in Lightroom a much more preferable option. I do want to get into the habit of using GND filters at some stage, however, as I find the art of capturing as much of the image as possible at the time I take it immensely satisfying. And the GND function is pretty indispensible for a landscaper like me. Sorrento Ocean Beach is one of my favourites around, with a lovely arc of sand and lots of interesting rock formations stacked about. There’s also lots of fun to be had scrambling over the rocks and exploring the tidal pools. Admittedly walking around with a Canon 5D and 3 L-class lenses stuffed in various pockets made me a little cagey while crawling over sharp rock outcrops. A slip could get expensive. The shot was taken on the aforementioned Canon EF 16-35mm f/2.8 L II USM. It’s a behemoth of an ultra-wide-angle lens, an absolute beauty when it comes to landscapes, and I love it to pieces. You could park an Airbus A380 on the field of glass that makes up the front end, but by the same token it lets in so much light that I could almost shoot hand-held in moonlight. For any aspiring landscape photographers out there, it’s a beautiful piece of glass and a gorgeous addition to my lens collection. In this shot I really like how the wide angle of the lens has bent the bay around to give it a half-moon-esque curve to it. That was a lot of words just to talk about a photo. I went on a little weekend away this past Saturday and Sunday. Some friends from the little small-group I’m a part of decided to rent a holiday house for two nights down at the end of the Mornington Peninsula. Like a crooked finger, the Peninsula arcs all the way down the eastern edge of Port Philip Bay, until it’s just a narrow ridge of land a few miles wide. Because my folks live on the Peninsula I feel that it’s really just an extension of Melbourne, but in perspective the end of the peninsula is a good two-hour drive from downtown Melbourne. Perhaps because, in true Melbourne fashion, the suburbs barely seem to break on the way down, it feels part of the GMA. 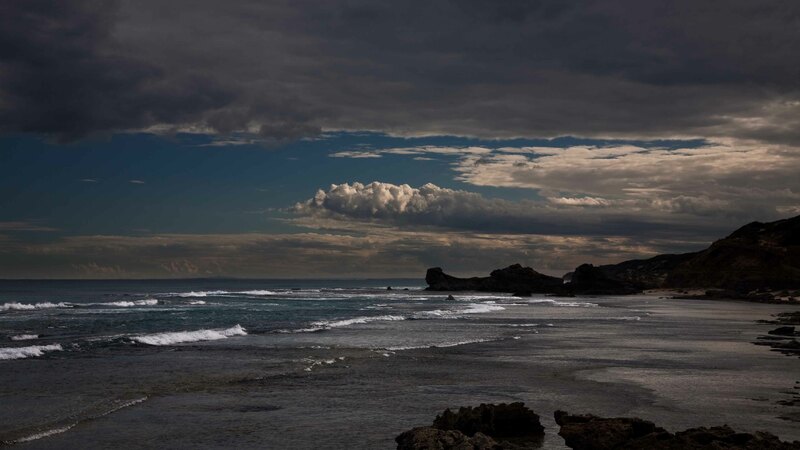 Nonetheless, the atmosphere down near Sorrento is totally different- a relaxed, pretty, beachside ambience that during the summer is festive and joyful, and during the winter is a little cooler, but still somehow uplifting compared to the spreading expanses of the bungalow’d Eastern Suburbs. On Sunday I joined a couple of friends for a walk along the Sorrento back beach. This end of the peninsula, there are bay-side beaches, and back beaches. The former are sandy, gently-sloping strips often many miles long, relatively underpopulated and opening onto the calm, clear waters of the bay. Yachts are moored at jetties and during the summer, kids splash in the shallows while parents watch patiently from laid-out beach-towels. The latter, however, are a lot more fun. Facing onto the southern Ocean, they are steep and rocky, lined with broken cliffs and washed-out stacks, wave-cut platforms and crumbling stumps, all being gradually swallowed by heaving breakers. On a calm day, the waves break onto the jagged coastline with predictable regularity, foaming where they strike outcrops. 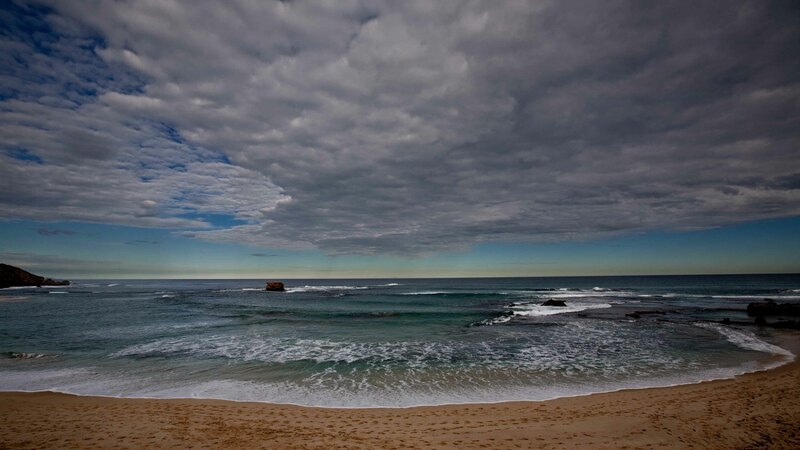 When the weather is up, the back-beaches offer some of the most exciting seascapes in the area. Sorrento is one of Victoria’s posher seaside resorts and so the back-beach is usually pretty populated. In fact there was an open-topped Porsche Cayenne in the parking lot that morning. Alright for some. But the place still manages to feel rugged and just a little adventurous. A scramble along the rock-pools offers a certain nostalgia, the simplicity of the seaside offering an almost Victorian experience (the era, not the State). Sadly for me, the winter light was variable and largely uncooperative, and the sun slipped behind a bank of cloud about a minute after I pulled into the parking-lot, foiling most of my subsequent attempts at capturing the landscape. I swapped lenses out (gingerly in the brisk sea air) and replaced my 16-35mm with my 85mm f/1.8 portrait lens and shot some candids of my promenading companions instead, chosing to practice my portraiture skills and expose them to the intrusion of a paparazzo. They were very patient with me, and I got a few snaps I was pleased with which I might share on another post.